Private day tour from Bucharest to top Romanian destinations: Peles Castle, Bran Castle and the Transylvanian medieval town of Brasov, in the comfort of a private car (13 hours). Scroll down the page for full description and all tour details!
! Peles Castle is closed for visitors on Mondays all year round, and on Tuesdays during the winter season. When Peles Castle is not open we will still see it from exterior and take pictures, and will take advantage of the extra time in Brasov. !Please be aware that the tour takes normally around 13 hrs, in which 7 hours is the driving for the round trip. On weekends, holidays, and generally the peak season (July-August) traffic congestion occur, which often lead to delays. Set off from Bucharest heading to Sinaia, popular mountain resort in the Carpathian Mountains, two hours drive north of Bucharest. Visit Peles Castle in Sinaia, foundation and favorite residence of Carol I, the first King of Romania. Inside, the interiors and exceptional collections of decorative art are the original ones. The romantic castle, terraced gardens and surrounding mountain scenery provide plenty of photo opportunities. Before leaving, you may like to sip a coffee while sitting on the terrace overlooking Peles Castle and the mountains. 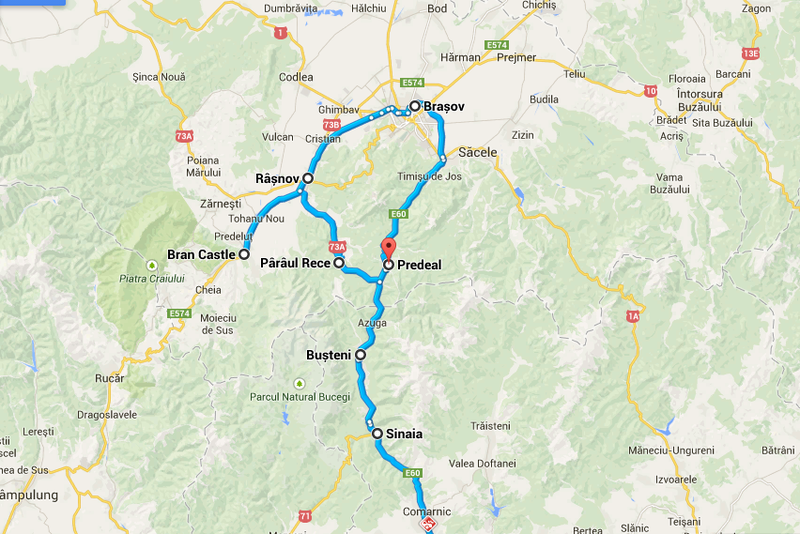 Then we resume our journey crossing the Carpathians into Transylvania to Bran area. After lunch to a local restaurant, visit Bran Castle, explore the intricate complex of rooms and passageways and learn about Prince Vlad Dracula, one of the most fascinating characters in the Romanian history who inspired Bram Stoker’s Dracula. Further on the tour continues to the Saxon town of Brasov. Stopover for a short stroll around the Council Square, the main square of the old town. Time allowing, we may have a refreshing drink at one of the outdoor terraces before leaving. Evening return to Bucharest.